Pacific Beach, San Diego! 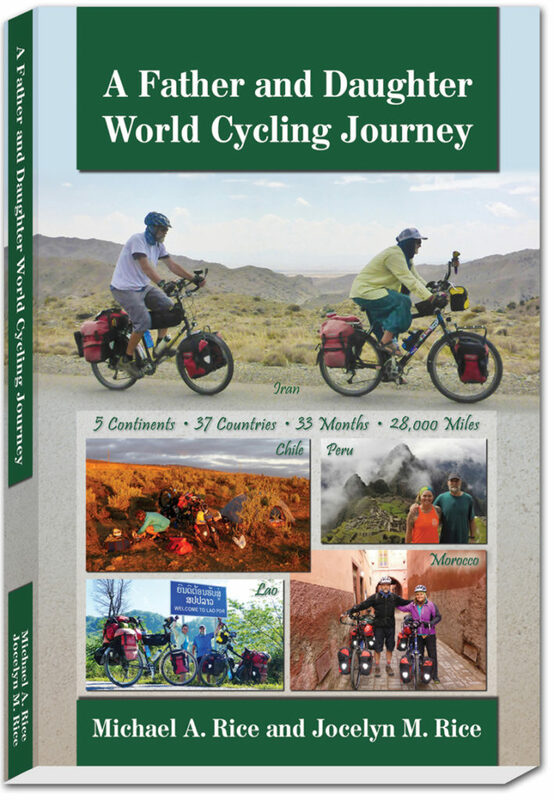 Part one of our newest cycling adventure is complete! 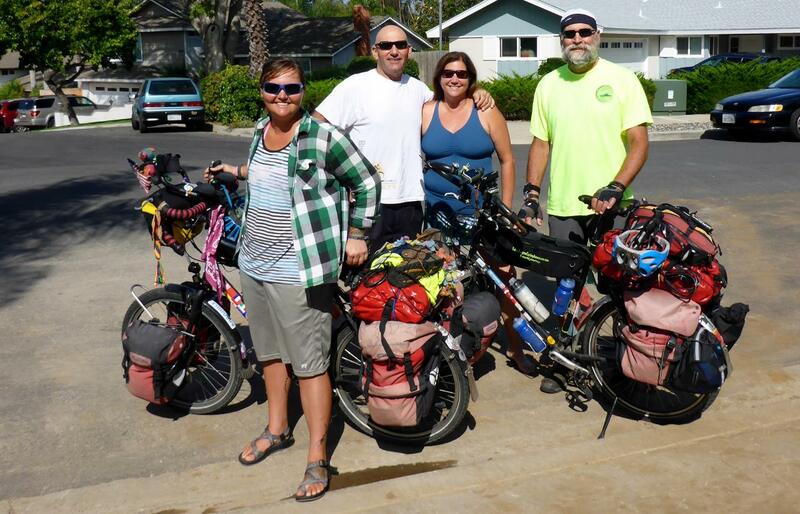 Two days 122 miles We spent two nights with my brother-in-law Jeff and nephew Perry. We had a lot of fun especially when we met with another brother-in-law Chip for two breakfasts out in a row at the very popular Sugar Shack in downtown Huntington Beach. Jocelyn really enjoyed spending time with two uncles and a cousin. We could tell our relatives were regulars at the Sugar Shack. A day off was spent at Blackie’s by the Sea and strolling around Newport Beach on a fine summer day. One of Jocelyn’s friends Alex, from the Girl Scout camp in Washington, was able to join us and Perry as we enjoyed some fine local beers and conversation. After two nights we were on the road again and headed to a warmshower’s host in Carlsbad. 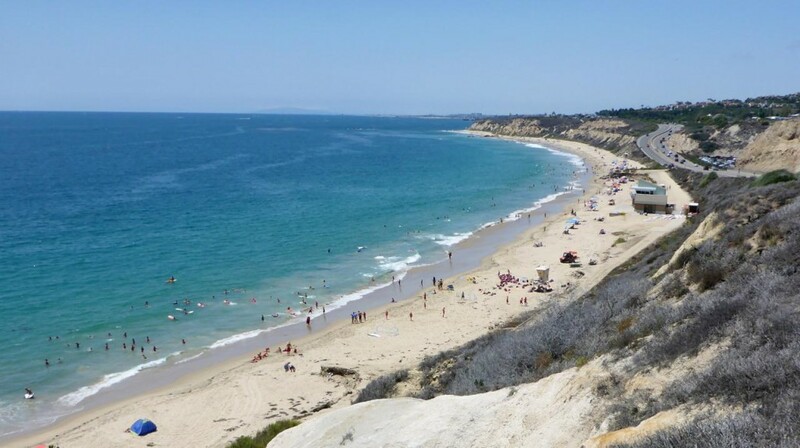 The bike paths along Pacific Coast Highway (PCH) and the many beaches were great until the artsy city of Laguna Beach where there are no marked bike paths along PCH. We were shocked how some drivers passed us within inches. All the cities before and after Laguna Beach have marked roads and signs reading that cyclists can take the road – but not Laguna Beach. We took the road anyway and were met by many angry drivers. 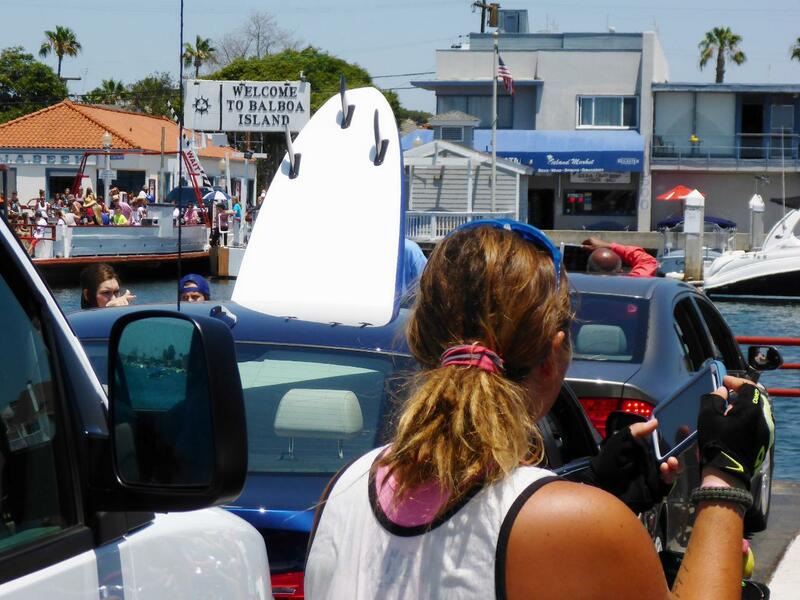 I usually don’t get upset with drivers but we have been around the world and Laguna Beach drivers (or those just passing through) are ranked right up there with the worst drivers in the world (in our opinion) so far – Croatians! Croatia was a very difficult but still beautiful country to ride through. 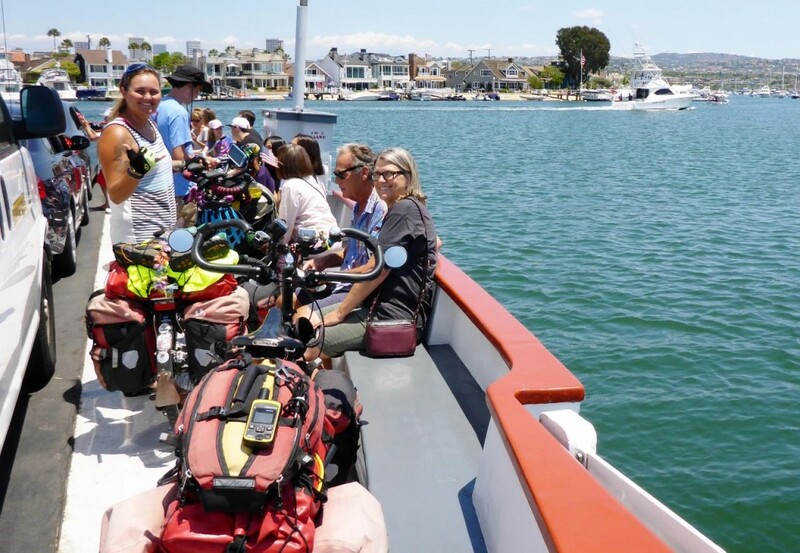 Our goal of Carlsbad was about 70 miles away and we didn’t leave until 11 so it was a challenge through the hot crowded summer day. 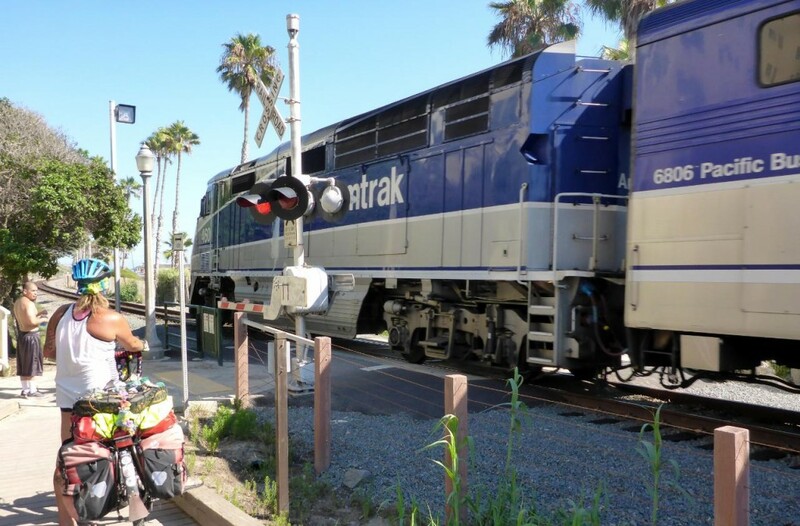 I had always wondered how cyclists get south to San Diego through Camp Pendleton Marine Base because the only other road is Interstate 5, a major freeway. It was very simple as we cycled south and showed our IDs to the Marine sentry at the north gate. It was fun riding through the huge base. We met a guy at the La Jolla Brewing Company that arrived at the Camp Pendleton Base without a helmet. 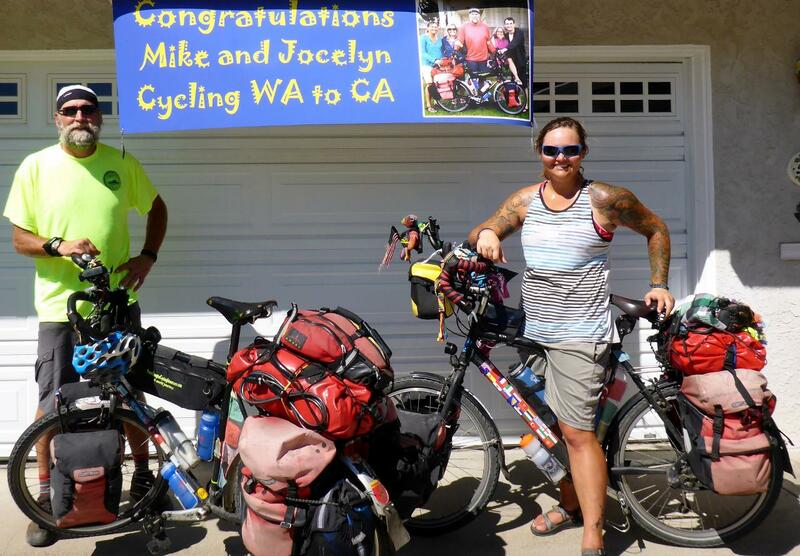 He was denied access and told to ride 8 miles on Interstate 5 without a helmet. Ouch! 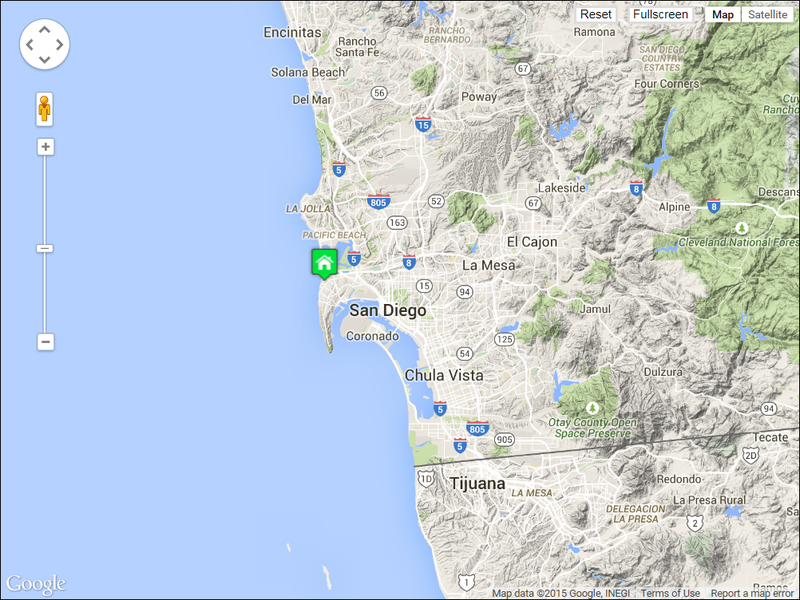 Soon we entered the city of Oceanside then Carlsbad. We found our hosts’ home and were immediately welcomed with their family to a barbecued tri-tip dinner. It was great along with the very fun conversations with other guests. It is wonderful and sometimes surprising how some hosts welcome us as family. This family was really comfortable to be around although we were stinky from riding all day. They told us to grab an empty plate and fill it up. The food, drinks, and desserts (hot fudge sundaes and Mexican brownies) were just great. We slept very soundly in their extra room. 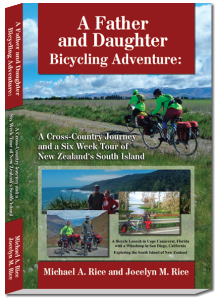 Thank you to Steve, Erin and daughter Aquila. 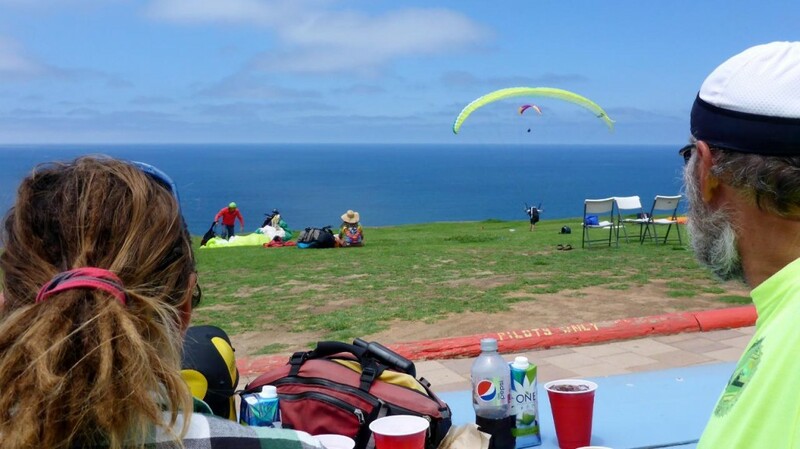 The next day started with a delicious pancake and fruit breakfast that fueled us south to Torrey Pines Gliderport where we enjoyed a front row seat lunch for all the flying activities. We then continued through La Jolla and happy hour at La Jolla Brewing Company then to our destination in Pacific Beach and my sister and brother-in law’s Jim home. We finished our southern tier bike ride here in 2011. Now we have ridden about 1800 miles from the Canadian Border at Blaine, Washington. What a great trip! Andee, Cary, and Nicole arrived home to Cape Canaveral, Florida within the hour. They traveled over 2,000 miles since Monday and us around 200 miles. But we took a day off! Jocelyn plans on riding the Amtrak train south to Los Angeles to visit friends that were not available last week so we will not ride into Mexico until early August. In the meantime we will enjoy Pacific Beach with Tish and Jim. 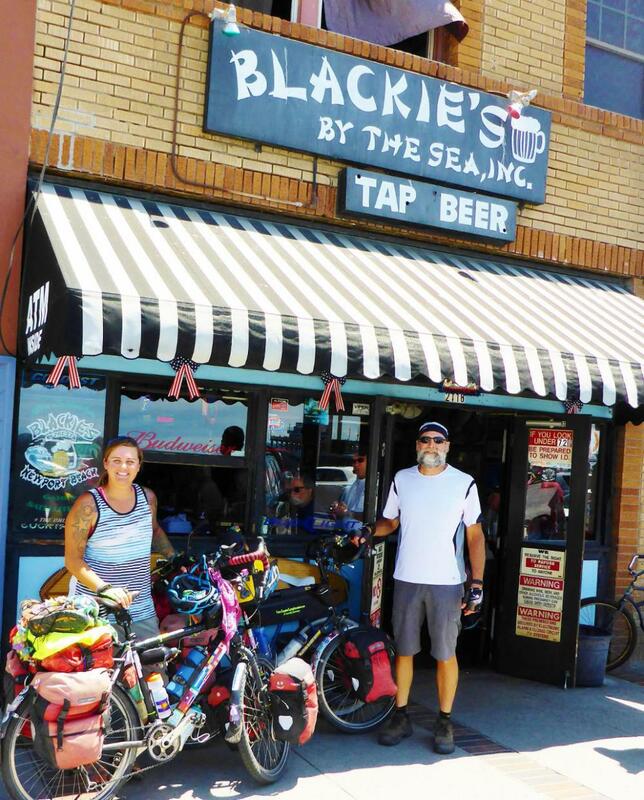 A legit picture with our bikes at Blackie’s by the Sea. …on a 3 car ferry. Another typical Southern California summer day. The beaches can get a bit crowded though. We so wanted to stop and swim. No wonder so many people live here. Lots of trains up and down the Pacific coast. 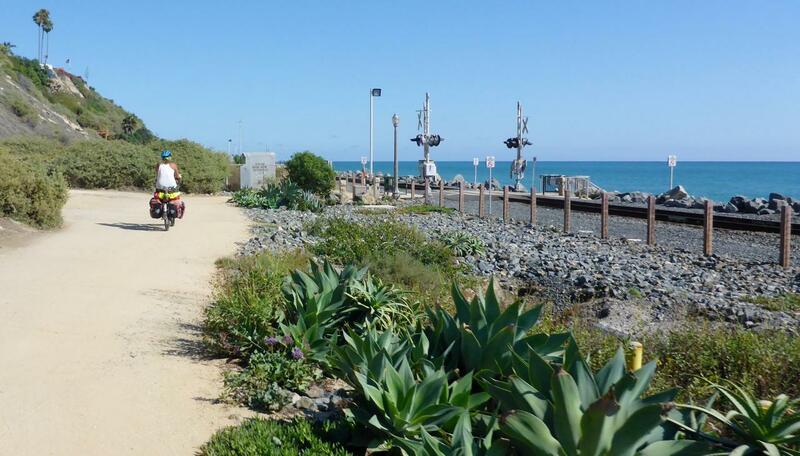 A fun beach bike trail. I love trains as did my mom. San Onofre Nuclear Power Plant. In the process of being decommissioned since 2013. 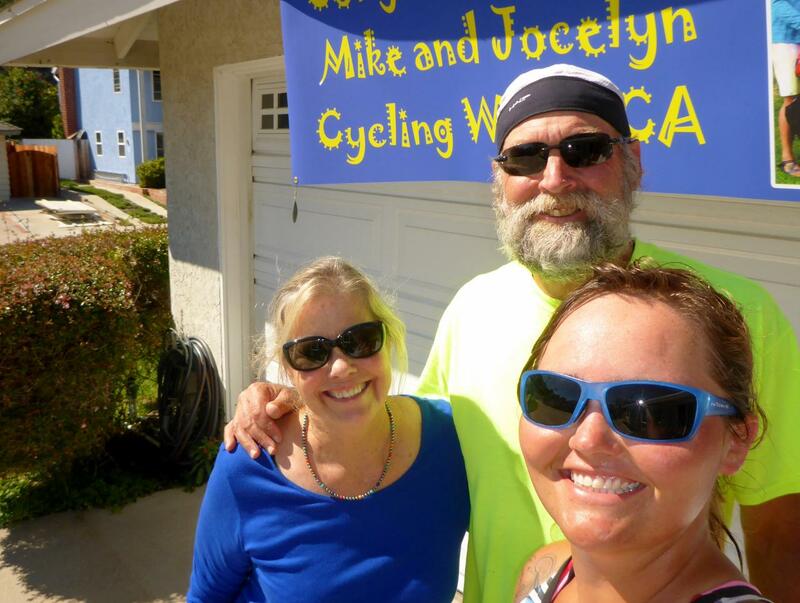 Our wonderful Carlsbad hosts, Steve, Erin and Aquila (who took the picture). Two excellent meals and a really nice home. Sometimes warmshowers.org hosts surprise us with how hospitable they are to strangers. 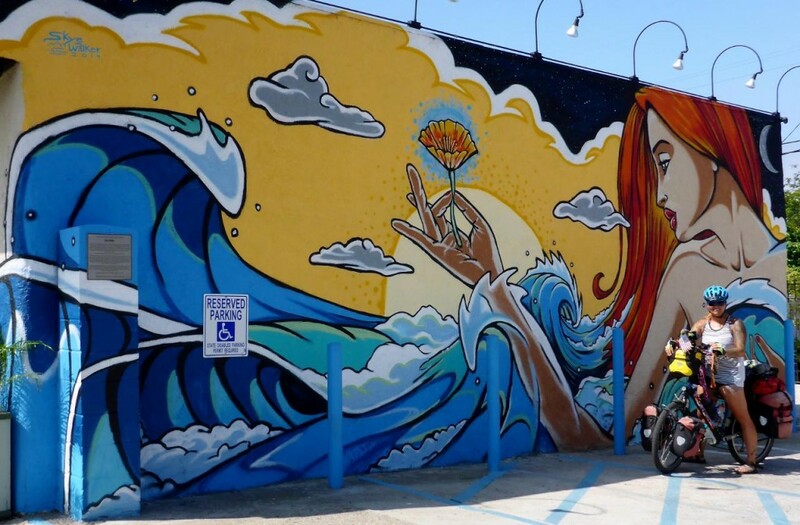 A pretty mural. Mother nature with a golden poppy. 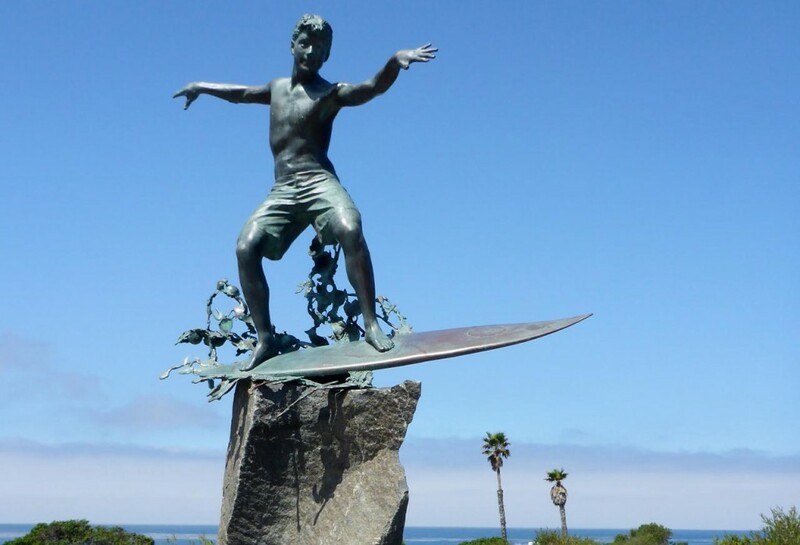 The Cardiff “Kook”. Designed and sculpted by a non-surfer. Cardiff by the Sea. 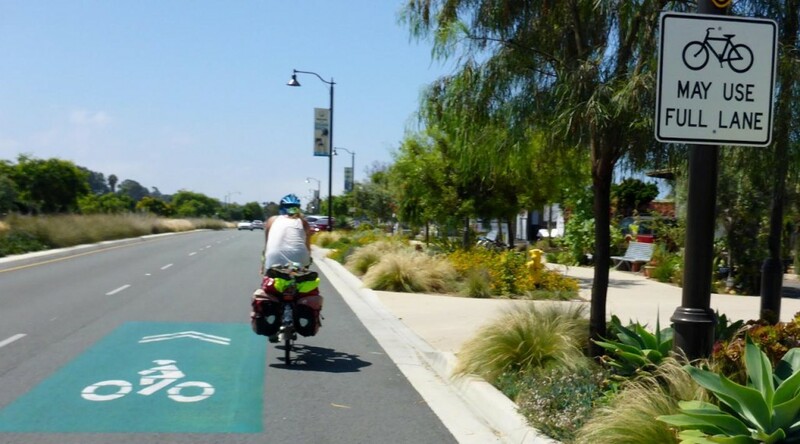 Most cities have signs and road markings like this (not all in green) – except for Laguna Bach. What a great lunch spot! Looking south to Scripp’s Institution of Oceanography Pier and La Jolla. Jocelyn found this bike path that took us above and around the very busy traffic of La Jolla. 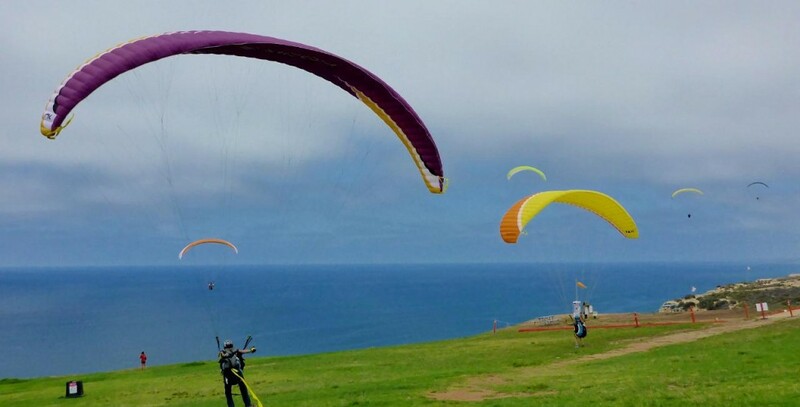 High above the La Jolla coast to stay out of traffic. “Home” again. Thanks Tish and Jim! My sister Tish – one of our biggest cheerleaders!